Mostly Positive (625) - 72% of the 625 user reviews in the last 30 days are positive. Mostly Positive (19,971) - 70% of the 19,971 user reviews for this game are positive. Boxes with gold are now available in the Store. Fight in regular and rating battles to fill Boxes and strike a deal! 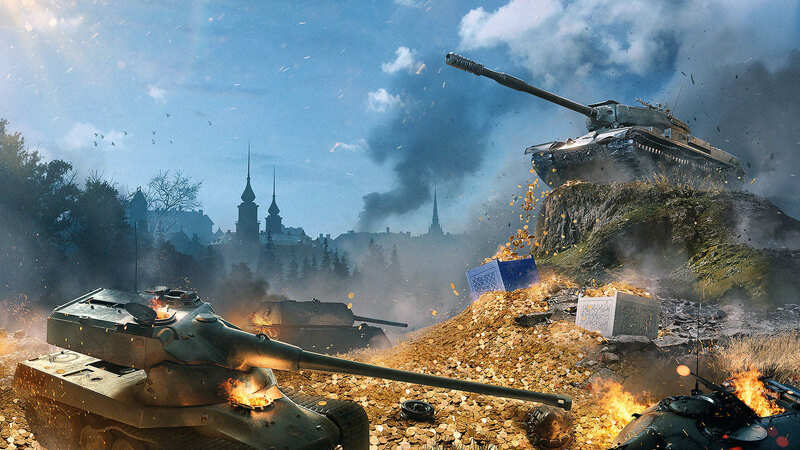 Use x2 XP multipliers, boosters, or Premium Account to get more XP in battles and fill boxes with gold faster. Refilling: 1 gold for each 25 XP. When purchasing the Box, you will receive as much gold as indicated on it at the time of purchase. After the purchase, the Box should be refilled with gold! Refilling: 1 gold for each 20 XP. When purchasing the Box, you will receive as much gold as indicated on it at the time of purchase. What are Boxes with gold? It's an offer in the Store. Each Box initially contains the minimum amount of gold. 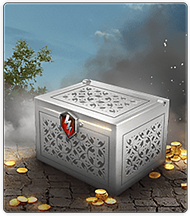 You will be filling Boxes with gold by fighting in regular and rating battles up to April 18. Bundle prices don't change when Boxes are filled with gold. When purchasing the Box, you will receive as much gold as indicated on it at the time of purchase. When can I fill up and buy Boxes with gold? CIS: from April 11, 8:00 (MSK) through April 18, 8:00 (MSK). Europe: from April 11, 14:00 (CEST) through April 18, 14:00 (CEST). North America: from April 11, 6:00 (PT), 9:00 (ET) through April 18, 6:00 (PT), 9:00 (ET). Asia: from April 11, 14:00 (UTC+8) through April 18, 14:00 (UTC+8). After April 18, Boxes will no longer be filled, but you will still have 48 hours to purchase them. After April 20, Boxes will be removed regardless of their contents. 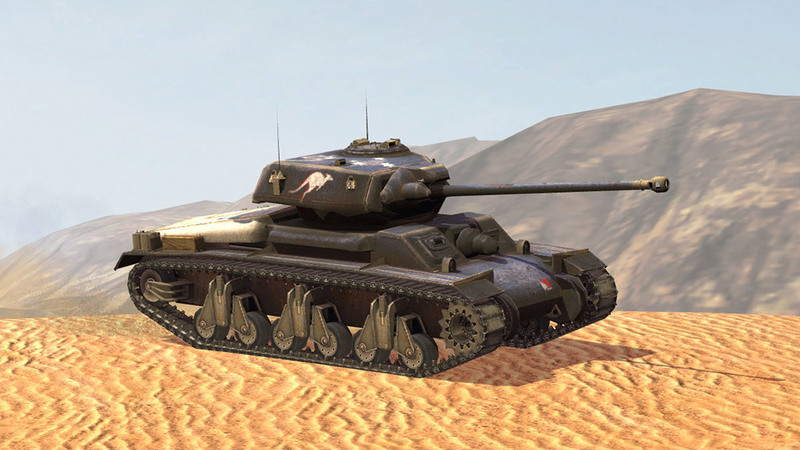 To fill Boxes with gold, new players have to get a vehicle of Tier V or higher. In addition to other rewards, the most persistent tankers will also get the Ozzie rare camouflage for the AC IV Sentinel. This warpaint will emphasize the Australian origin of the vehicle and signal your intention to thrash your enemies. When will the Sentinel Challenge event take place? To participate in the Sentinel Challenge, newcomers need a vehicle of Tier V or higher. Fight in regular and rating battles from April 11 through April 18. You will receive 1 Trophy for each 10 Combat XP earned. Use the x2 XP multipliers or play with boosters and Premium Account to earn more Trophies! The bonus to XP earned in rating battles is also counted. Players who earn less than 150 Combat XP don't receive Trophies. You can spend your Trophies on the Sentinel Challenge screen. Complete stages and seize your rewards! After April 18, you will have 2 more days to complete the remaining stages using the earned Trophies or gold. After April 20, the remaining Trophies will be deducted from your account without compensation. How many Trophies do I need to get the AC IV Sentinel? 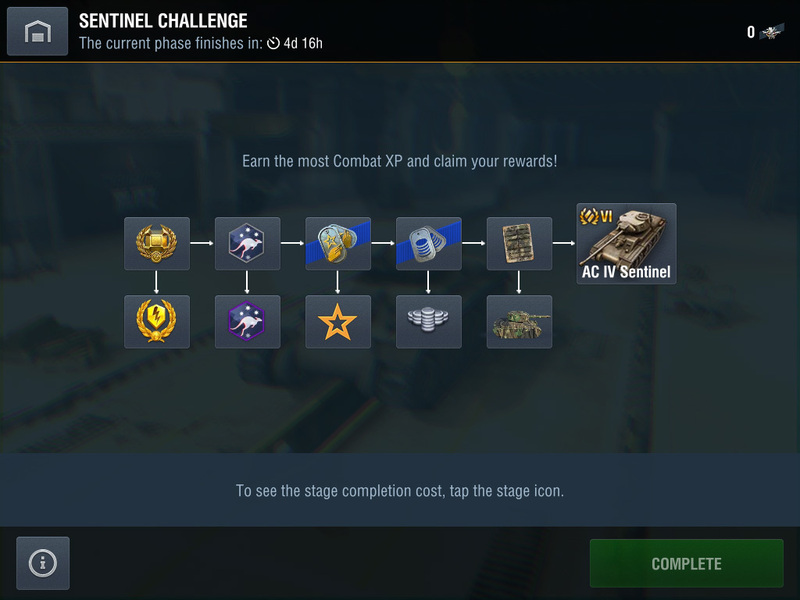 To get the AC IV Sentinel Premium tank and all rewards that preceded it, you will need 13,040 Trophies, and 23,540 Trophies if you want to receive all the event rewards. 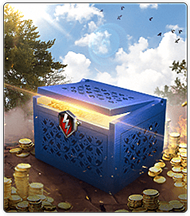 If you already have the AC IV Sentinel in your Garage, you will receive 600,000 credits and a Garage slot as compensation. What characteristics does the AC IV Sentinel have?